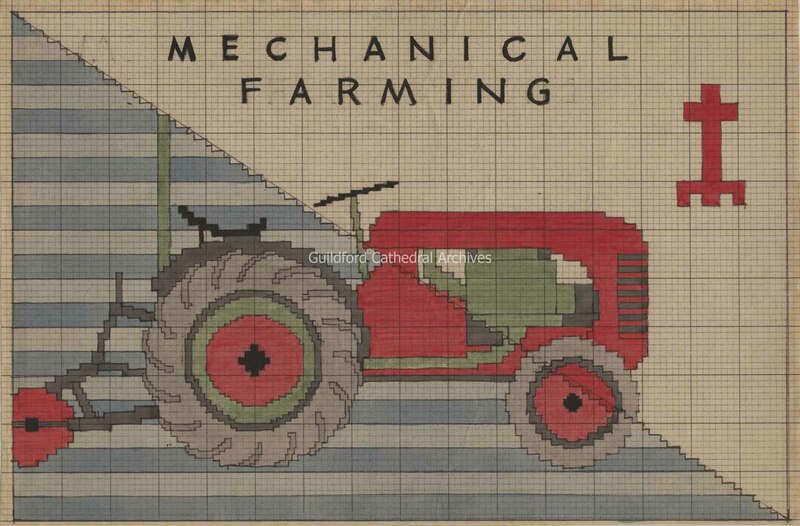 4 patterns for the Farming Kneeler, one paper, three card. 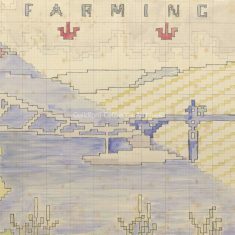 a) is a small-scale full watercolour design with rounded style, b) is a draft watercolour and biro pen design on squared paper, c) is a biro outline drawing on squared paper with pencil annotations about colours and an annotation on the reverse about colours for the shield, d) is a copy outline drawing on squared paper with watercolour added showing a different design. 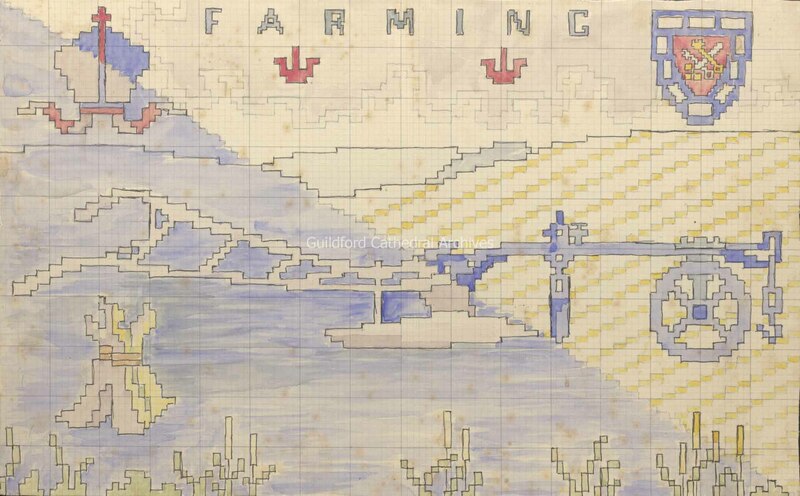 The main design shows a plough at the centre with a mitre and shield above on a background of fields with the word “Farming” at the top. 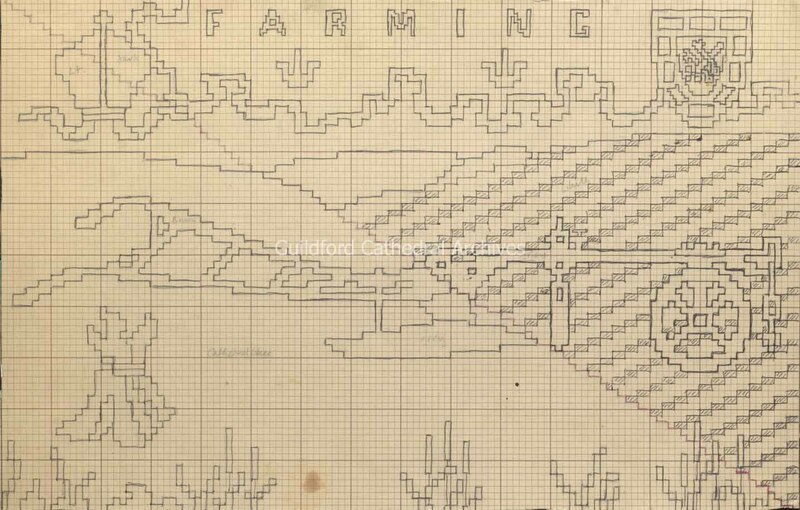 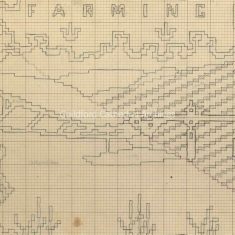 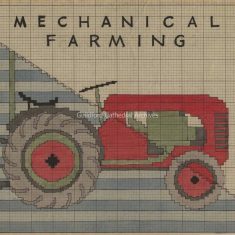 d) shows a design with a tractor and cathedral plan and the words “Mechanical Farming” at the top.